Few tyre companies can trace their origins back to 1896; that’s when Dr Benjamin Franklin Goodrich’s pioneering company, BF Goodrich, first began making tyres. And, in the 150 years since, BF Goodrich has established itself as a market leader for tyres for people who want more than “just a tyre”. 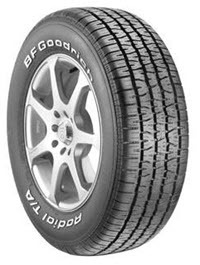 The BF Goodrich brand is now the dominant force for off-road and track-day tyres. The first vehicle to cross the United States in 1903 was running on BF Goodrich tyres, as was the first Columbia space shuttle. 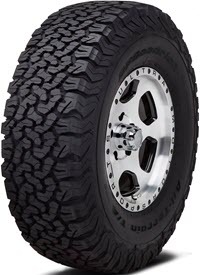 The first ‘tubeless’ tyres for American cars carried the name BF Goodrich, and so too the winners of the past 20 Baja 1000 events, and multiple Dakar Rally winners. 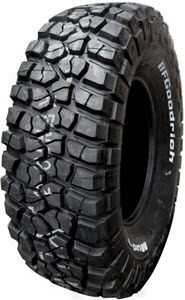 As BF Goodrich says: “If you have a passion for driving, you're one of us.” Tough tyres, built for the trail and track. value for money and very quite on the road along with comfortable ride and handling around corners grips very well even in the wet. Best 4x4 tyres, love love love! I bought these for the drive from Sydney to Alice Springs via the Flinders Ranges, Oodnadatta track and the Mereenie loop (7200kms) and they did the job as good as I can expect. When I ordered the tyres through tire sales they came to the fitter much quicker than was anticipated which I was really happy as that was one less thing to chase up. After going through this experience I would say that this is how I will buy tyres now. Very impressed. Awesome tyre, heaps of traction, not too loud on bitumen.